Fighting neglected tropical diseases (NTDs) is one of IMA World Health’s top priorities, and our NTD projects currently span DR Congo, Haiti and Tanzania. While the prospect of achieving the goal to eliminate these diseases for future generations is exciting, there is no cure for NTDs like lymphatic filariasis (LF) — a mosquito-borne parasitic disease — for those who are already infected. They are left to live with chronic pain, stigma and debilitating swelling of the extremities. For men, LF can also cause hydrocele, a fluid-filled enlargement of the scrotum that can lead to difficulty walking, deep social stigma and often an inability to work. Fortunately, a simple surgery called hydrocelectomy can correct the problem and restore dignity; however, due to a lack of resources and skilled surgeons along with the low socio-economic status of many hydrocele patients, the surgery often goes undone. 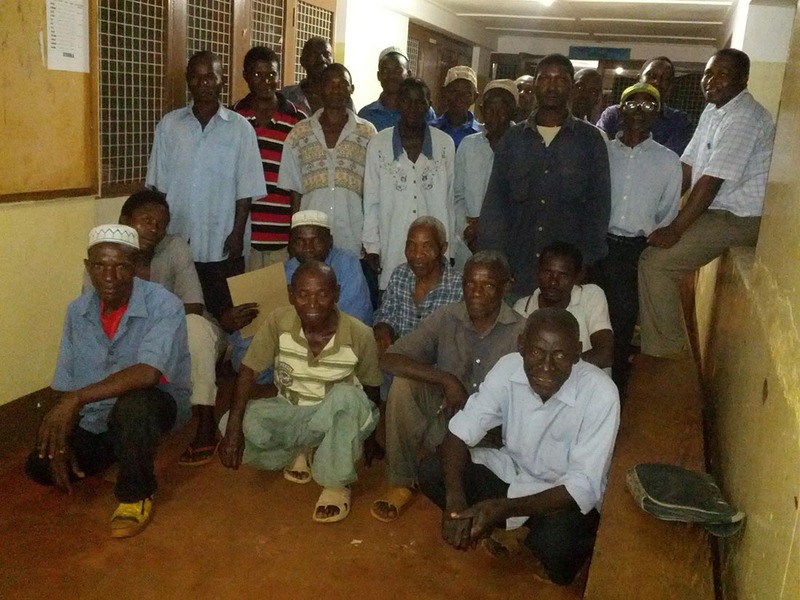 In the Lindi region of Tanzania alone, there is an estimated backlog of more than 1,500 men in need of hydrocelectomy. Due to the sensitive nature of the condition, it is rarely discussed openly. Recognizing this great need, and in coordination and support of the Tanzanian Ministry of Health and Social Welfare (MOHSW), IMA World Health launched a new hydroceletomy program in April 2013 called the Lymphatic Filariasis Morbidity Management Project with funding from the Presbyterian Churches (USA). By empowering hospitals, physicians and communities in Tanzania’s Lindi region to get men the treatment they need, increasing the availability of this simple, safe, and effective procedure can reduce the negative socio-economic effects of hydrocele on individuals and communities as well as contribute to the advancement of the UN’s Millennium Development Goals, the elimination of LF, and the overall fight against poverty. 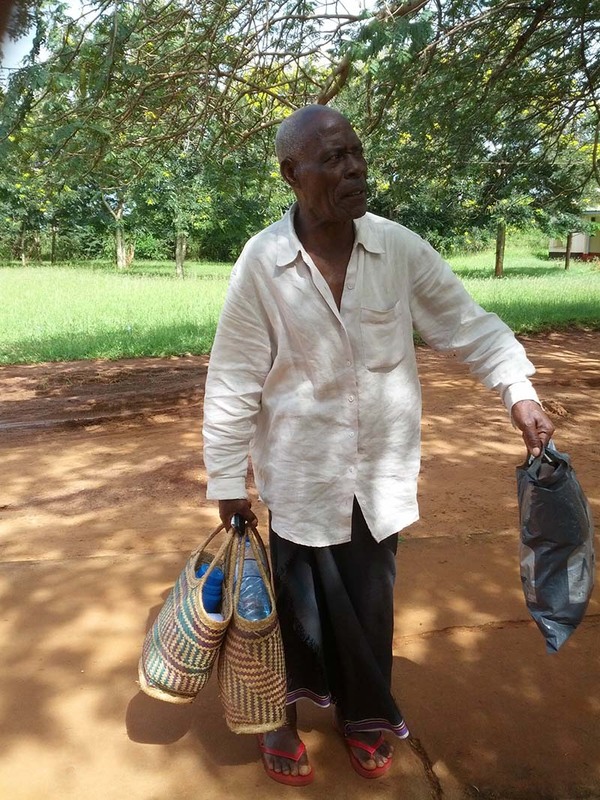 An elderly man leaves the hospital one day after having a hydrocelectomy. In collaboration with the National NTD Control Program and the MOHSW, IMA contracted a skilled surgeon from Tanzania’s Muhimbili National referral Hospital to train four doctors at Nachingwea District Hospital on a hydrocelectomy technique called partial Tunica Vaginalis (TV) excision, which studies have shown has a lower hydrocele recurrence rate with better surgery outcomes than sac eversion techniques. A total of 150 surgeries were conducted since April – tripling the total number of hydroceletomies (48) conducted at the hospital in all of last year. Men receive the surgery and follow-up care free of charge, and being able to walk out of the operating room under their own power after the procedure, their swelling gone, is a major motivating factor. With the current funding available, IMA hopes to conduct a total 480 surgeries through the end of 2013 at Nachingwea , Kilwa, Ruangwa and Liwale District Hospitals. The surgeries will be done by the newly trained doctors in the respective district hospitals over the weekends, allowing the physicians to tend to their regular patients during the week as usual. By adding this morbidity management program to existing mass drug administration (MDA) efforts, IMA is strengthening the response to NTDs in Tanzania – reaching people on a grand scale for prevention, while helping individuals who are already suffering have a better life.